Easter is this Sunday! Have some extra special fun with the kids by taking them to one (or more!) of these festive Easter events. Easter egg hunting, games, prizes and opportunities to meet the Easter Bunny are happening all week long in and around Boulder. Time: Make your reservation here. Kids can get a chance to meet the Easter Bunny at Flatiron Crossing while parents receive professional photos. At this event, you can save your place in line, avoid the stress, and keep your kids smiling right through picture time. Reserve your time here. Cost: $8 residents / $10 non-residents. Tickets available here. Broomfield Recreation Services is bringing Easter fun to your little ones! At Easter Party Fun, enjoy Easter games, inflatables, prizes, and a chance to meet the Easter Bunny. Ages 2-5. Pre-register early here. Lafayette Natural Grocers, 100 W South Boulder Rd, Lafayette, CO 80026. Time: All locations 11AM, Longmont Location will have an additional egg hunt at 5PM. Natural Grocers is offering the most eggciting Easter Egg Hunt in Boulder, Longmont and Lafayette on Friday, March 30. Everyone in the family is welcome. The event will feature a coloring station, toys and prizes, this event is sure to delight kids of all ages. This event will take place at the Boulder Natural Grocer location from 11AM – 12:30PM, at the Longmont Natural Grocer location at both 11AM and 5PM, and at the Lafayette location at 11AM. Join Grandrabbits Toy Shoppe in Boulder for its 41st Annual Easter Egg Race! For kids 2-10 years old, one race per child. Use coupons collected in the race on items in the store! Race at Boulder store only. Northmoor Park Easter Egg Hunt, hosted by Allison Cassieri of North Denver CO Homes, will feature over 5,000 eggs! Meet the Easter Bunny in person, enjoy this epic egg hunt, and find the Golden Egg for a special prize. Village at the Peaks is hosting the coolest Easter egg delivery ever – The Great Easter Egg Drop! Mile-High Skydive will be kicking off the event with live skydivers at 12:30PM (Conditions permitting). After the show, there will be tons of other fun and FREE activities for the whole family, including: Easter Bunny with Photo-Op, princess performances on the stage, train, face painters, balloon twisters, Easter crafts, games, music, and baby goats. While supplies last, there will be bags of stuffed Easter eggs for kids at the Village at the Peaks registration tent. The City and County of Broomfield is hosting Easter fun for the entire family at Eggstravaganza. No registration required – just show up. Meet at the Broomfield Amphitheater by the pond at 11:30 a.m. and march with the Easter Bunny to the lawns of Community Park to participate in the 24th Annual Egg Scramble. Egg hunting is for children 8 years old and younger and will be divided by age group. Be sure to bring your own basket and a camera for pictures with the Easter Bunny. Grab your kids and baskets and join Calvary Bible Church for a fun and unique Easter Egg Hunt in Erie! Come anytime between 10AM-12PM to enjoy snacks, games, crafts, and special prizes! Admission is free, and all are welcome. The 8th Annual Longmont Easter Egg Hunt and Festival 2018 is hosted by White Fields Community Church. Events include an amazing Easter egg hunt, games, face painting, craft making, bounce house and many other exciting activities. At Jax Broomfield Outdoor Gear, Ranch & Home and Jax Lafayette Ranch & Home bring your camera, bring your kids, bring your pets to meet the Easter Bunny! Cost: $8 Residents, $10 Non-Residents. Kids 3 & Under are FREE. Ages: 1 – 10, Tickets available here. The Easter bunny is missing hundreds of eggs and they have been found floating in the Erie Community Center pool. Come splash, swim and hunt at the Erie Underwater Egg Hunt. Egg hunts will be broken into age groups. Find the golden egg for a special surprise. Please bring swimsuit, towel and a basket to collect the eggs. Parents are required to be in the pool for children who can’t swim (and any child under age 3). All pool rules apply. Advance registration required. Cost: $10/Family, $3/Swimmer, or $1/Observer, Tickets available here. Calling all kids to the City of Longmont’s 19th Annual Underwater Easter Egg Hunt! The Easter Bunny will be scattering hundreds of weighted eggs throughout the pool. Kids of all ages and abilities are invited to collect eggs that have sunk or are floating in all areas of the pool and then enjoy the multiple crafts that will be on hand for the event. Fun for the whole family! Parents are welcome to join in the fun with the kids. 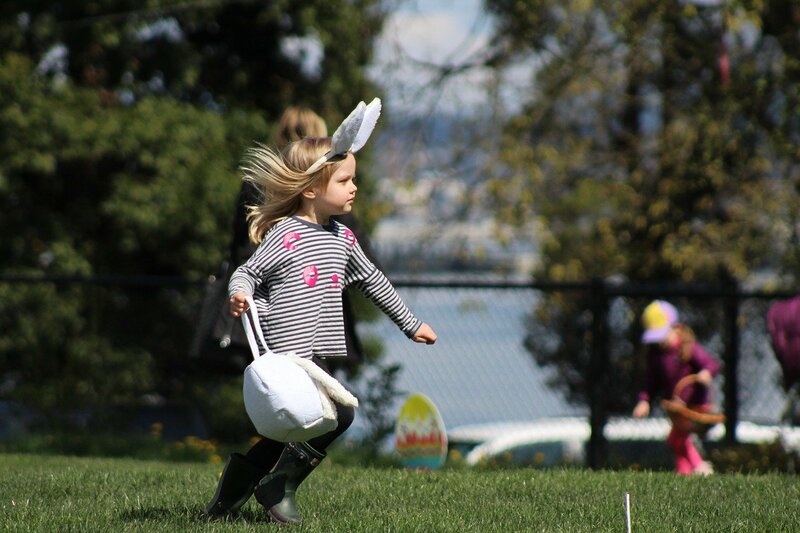 The Community Easter Egg Hunt at Community United Church of Christ will feature 1200 Easter eggs spread out across the lawn following the lively, child-friendly 8:30AM Easter service. Pine Street Park Annual Easter Egg Scramble is a FREE event and tradition in our neighbourhood. It happens snow or shine at “the field”. Everyone welcome! Parents — bring some eggs filled with candy or toys to share and spread across the field (If it will be warm, avoid chocolate as it may melt). Kids — bring your own basket and gather as many eggs as you can, as fast as possible. Scrambles divided by age group to make it fair. Bittersweet Cafe & Confections is hosting an Easter Egg Hunt that will bring cheer to kids and adults alike! Find an egg and get a free hot chocolate. Parents can enjoy mimosas and bloody marys. Enter a raffle to win gift cards from local businesses such as Verde, Lulu’s, Coabana, The Singing Cook and more. Live music from local a capella group, The Accidentals. Cost: Event is FREE, Lift Ticket Info Available Here. Bring the family up for a day of skiing and riding at Eldora Mountain Resort with a magical twist at the Magical Easter Egg Hunt. The Easter Bunny has agreed to send thousands of Easter Eggs to Eldora! Keep an eye out around the mountain for hidden eggs with fun prizes. For the little ones we will have a special egg hunt behind Indian Peaks Lodge at 10AM followed up by a super special magic show by Magician Connie Elstun and her magical Easter Bunny Super Chocolate at 11AM! Then to keep the fun going there will be face painting available in Indian Peaks. This is a family friendly event that will be fun for all ages. The Easter Bunny will also be showing off their skills on the hill so keep an eye out for the perfect photo op. Join The Well Church on the Boulder County Commissioners lawn for a free Egg Hunt open to the Boulder community! First wave starts at 10AM, 2nd wave starts at 10:20AM. If you have kids of age for an Egg Hunt, anyone is welcome! Please bring your own basket and stick around after to meet other local families too. The VFW Post 1771 will have their annual Easter Egg Hunt on Easter Sunday for Louisville Children 1-12 years old. Please come early as the event will start at 12:00pm. Some of the eggs will have a surprise award in them — a $1 bill has been put into 100 of the eggs. Thanks for sharing! Our Easter Egg Hunt in Erie is also in Boulder (3245 Kalmia Ave. Boulder CO 80301) on March 31 from 10-12pm, free.